When the virus gets into your computer, often the operating system starts to run very slowly or won't start at all. In such cases, use antivirustion program to find and delete the virus, it is impossible. Then you need to load the operating system in safe mode, and then use the antivirusOhm. Start the computer, while booting continuously press the F8 key, sometimes alternatively the F5 or F12. A menu will appear select boot options of the operating system. Select "Safe mode". Start by booting the system in safe mode. In some cases the Windows boot process can happen very long. Do not press any keys at this time. After loading Windows you will see a black screen and the notification that the operating system is running in safe mode, some functions can be blocked. View loaded if the antivirus in safe mode automatically. If not, start it manually. Menu antivirusNoah program, click Scan computer." Keep in mind, scanning the computer in safe mode is not available for all antivirusAh. In the objects menu, select all the hard disk partitions, as well as all connected flash drives, if any. Begin scanning your computer. Do not at this time any actions. Be sure to wait until the computer scan will be completed. If anti -virushave failed to detect malware, you will see a list of actions that you need them to do. Files malware not necessarily completely removed from the computer. Among them may be the files you need. Select "quarantine". Those files that cannot be placed in quarantine, delete it from the computer. Restart the computer is in normal mode. If viruss is isolated, the system should work fine. Go to menu antivirusand and select "utilities" and the tab "Quarantine". Let's see what files are there. If there are no files you need, click "Clear quarantine". Advice 2 : How to remove virus requiring. The development of the Internet has led to new types of fraud. For example, viral attacks that block your computer and offer to send SMS to unlock. But after sending one message, they require more. There are several ways to deal with this problem. A virus that attacks your computer and block called "Trojan.Winlock". Most often on the desktop appears a banner with the message you need to send an SMS message to a specific number and banner will be removed. 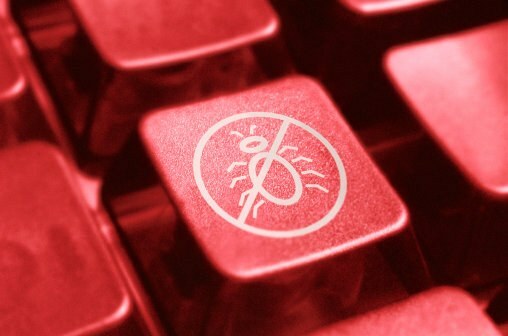 To remove this virus visit the websites of popular antivirus software: "Kaspersky" (http://support.kaspersky.ru/viruses/deblocker), doctor web (http://www.drweb.com/unlocker/index/). Enter the phone number, which is required to send an SMS message or code. 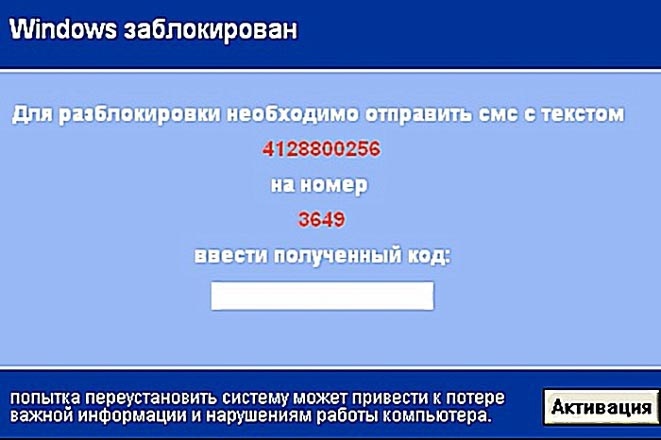 After that you will be given a code to delete the virus. In order to cope with the virus, requiring sending SMS message use the free program "LiveCD" (http://www.freedrweb.com/livecd). Write the program to disk, and insert it into your computer, then follow the instructions. A way to deal with the virus is system restore. Try ctrl+alt+delete to call up the dialog box of task Manager. Then click "File" - "New task (Run...)". A command window will open. Enter the following code: %systemroot%system32 estore strui.exe and press the "Enter" button. After system repair virus should be eliminated. After the virus is removed from your computer, install the latest version licensed antivirus to your computer. Run a full scan of your PC. Also check the registry settings that the virus could replace them. Promptly update anti-virus software on your computer. Frequent users of personal computers a situation when in the system there are various viruses that came along with the installation files of the programs. To remove virus programs and infected files easily. On that computer, install a licensed antivirus software to real time scan the computer for various threats. As a rule, you need an active Internet connection to update the virus signature database. Such software is always installed to the same directory where the operating system is installed. Next, check for viruses on the computer. To do this, run the antivirus and scan all disks and registry and temporary files. It will take about an hour but the scan time depends largely on the hard disk loads. Next, remove all threats that exist on the computer. Don't forget that for reliable protection you should have installed antikeylogger and firewall. To completely remove the infected program, go to the shortcut "My computer". Next, click on the tab "add or remove programs. After a couple of minutes you will be presented a complete list of all programs that are installed on your computer. Find that programthat is infected with various viruses. Click on the "Delete" button. Wait a few minutes until the system will delete all files that relate to the software. Close all Windows and tabs and restart the computer. Next, open the antivirus software and double-check all of the drives, temporary files, and registry for viruses. As soon as the system finishes the test, review the detailed reference. If more viruses are found, then all the viruses along with the program has been completely removed from the hard drive of the computer. In the future, check the computer for viruses several times a week to be fully confident in data security. The development of mobile technologies has led to the emergence of viruses for cell phones, communicators and smartphones. To protect your device from virus attacks, run the system scan. 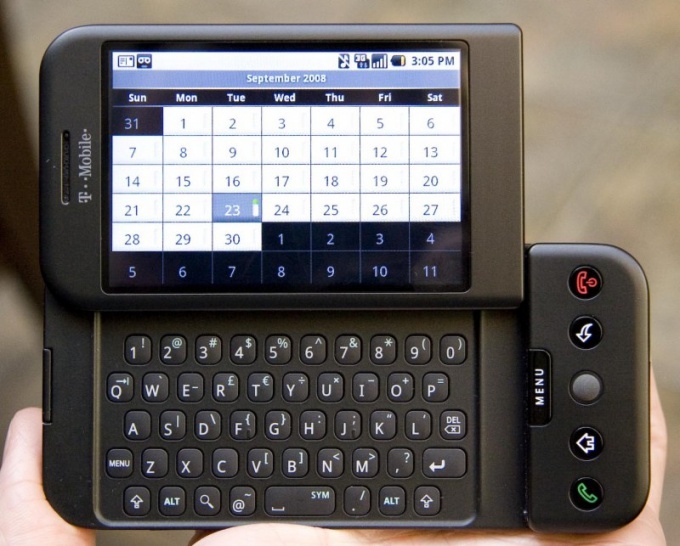 Mobile phones have specialized operating systems such as Windows Mobile, Android etc. data For OS hackers create malware in order to perform espionage actions, stealing your data, writing off funds from your balance. To ensure protection of mobile phone, purchase in a specialty store the licensed software, for example, Spy Monitor Light for Symbian and Windows Mobile or Kaspersky Mobile Security 9. They protect the operating systems of mobile phones from theft SMS, debiting cash, and also carry out the function of "Parental control and preventing malicious files from the Internet. Install antivirus software on your mobile phone, launch it. Will be automatically updated database of the antivirus. Go to the program menu. Select "antivirus and click "Full scan of the mobile device . Activate the function "Anti-theft "Filter call and SMS for full protection. If your cellular phone does not have the full operating system check for viruses using the antivirus that is installed on your personal computer. Connect your mobile phone via DATA cable to PC. Will automatically detect the new device and you are connected. Restart the computer operating system so that the connection is in force. Go to "My computer . In the section "Devices with removable storage click on the label with the name of your mobile device. Click the right mouse button on this label. Click on the link "Check your antivirus . After the scan is complete, click "Treat all . Safely disconnect your phone from the computer. Mobile phone vulnerable to attack viruses no less than the computer. Providers increasingly offer anti-virus programs, annually releasing new software products. Anti-virus software protects email, chats, uploaded files, incoming messages and any connection. Make sure that your mobile phone running Windows Mobile or Android. Such operating systems normally take personal information and money from the account. Please contact the salon on services for your phone model to get expert advice on antiviral program. Ask to the primary diagnosis apparatus in the presence of attacks. The viruses are divided into two types - mobile and computer, from the definition of subspecies depends on the type of software that will protect your phone. Computer viruses remove on your own through the program, which is installed on your computer. Connect the device via USB cable to PC, on the monitor, locate the shortcut to "My computer". Go to "Devices with removable media," define your mobile phone. Right-click the mouse to open it, choose from the pop-up list and click "check your antivirus", click confirmation. Scan all contents of the device, shut down button "cure all". After cleaning, you need to return to the default settings. Reinstall the files attached to the factory model. Further, using mobile equipment, don't forget about your important information and data. 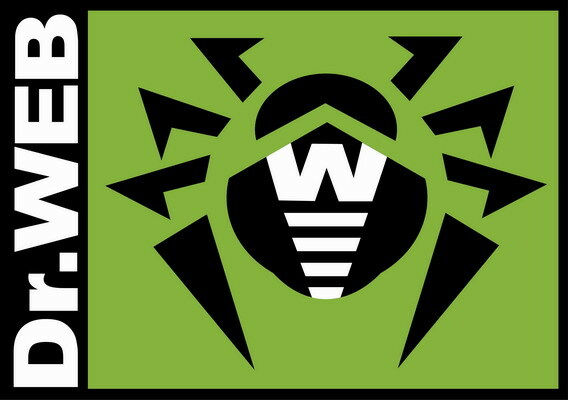 Hacker ingenuity knows no bounds, and malware is updated more frequently than a virus, and viruses are better protected. If you notice that the "cure" for long enough, then the memory card is cleared, but in the office "sits the enemy." 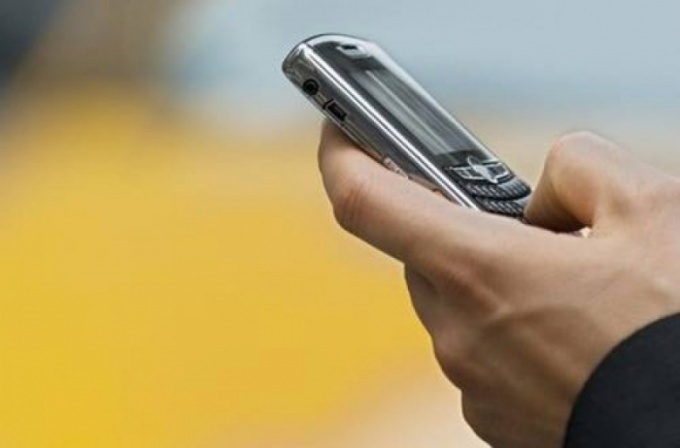 To restore normal and safe operation of mobile can a licensed service center. 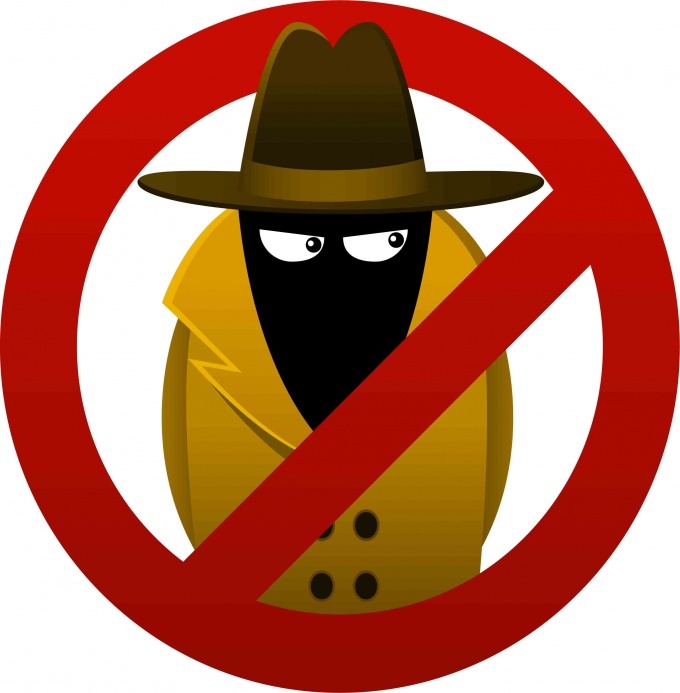 If the detected attack mobile agents, purchase and install a special protection programme. In the "Programs" tab, locate the antivirus, run a full scan. Activate additional functionality IN "anti-theft, Filter calls and SMS". Periodically check and clean the database in the phone, remove garbage, old games, no longer relevant information. Prevention as in the field of human health, is always better than cure.